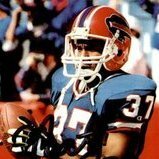 As the draft nears there still is anybody’s guess on what the Bills are going to do. I’m torn on what is more important for the Bills, offense or defense. Here’s a basic idea that I would like to see happen. Please feel free to tweak, edit or even disagree all together, your input is welcomed. The Texans’ 1st rd pick is #23. 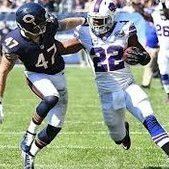 What if the Bills would trade down with them and throw in next year’s 2nd rd pick and if needed maybe a later rd pick (5th rder?) in this year’s draft or next? The Texans and Clowney apparently are very far apart and even if they do resolve it Clowney’s contract would be expensive. Maybe both GMs, Brian Gaine and Brandon Beane can work something out fairly for both clubs. Making a trade like could accomplish a few things for the Bills. First off they obtain a high impact DL who is still young but with NFL experience. Secondly the Bills would be able to kill 2 birds with 1 stone, obtain a big time DL and also draft a high impact offensive rookie. If a trade like this could go down then I would love to see the Bills draft someone like WR K’Neal Harry. With their 2nd rd pick an OL like Erik McCoy would be a great addition and insurance. This opens up drafting a top talent at the TE position in the 3rd rd or even in a trade up. A RB could be in play as well. In the 3rd and/or 4th rd could still net a good talent for the DL or LB position. In any event I’m just offering up a rough draft/concept on acquiring big talent on both sides of the ball in the early part of the draft. If they swapped picks that might be all Beane would offer. In your scenario, the Bills get Clowney, but also get the price tag that comes with him. The Texans would get a top 10 pick with a chance to get a new Edge player on a cheaper deal for the next four years or a highly regarded OL which they desperately need. I wouldn't throw in more than a third in 2020 because the contract would be exorbitant. The concept makes sense. The problem is that they don't have much time left before the draft. Bill's and Houston might agree, but Bill's and Clowney would have to agree too. It's not clear that the Bill's would want to pay more than Houston. They could throw more guarantees in whatever deal. That would be more important to him than the overall number which is smoke and mirrors most times anyway. Both teams need an edge rusher. If Houston, who knows Clooney best, doesn’t think he’s worth what he is asking for then why would he be worth it to the Bills? If they want a new DE then draft one with their first pick. I don’t really follow the guy, but it sounds like Clowney wants to get paid for his hype, not his production. Mario Williams actually played well, for a while. What I’m thinking is that we get to address 2 needs instead of just 1. We have the luxury of having the money to spend in a case like this. I don’t disagree with this. I’m just trying to draw up the guidelines, I’m hoping that people like you could come up with the specifics. If the cost is anything near lawrence i do not want him- he is a nice talent but i do not trust him to keep up effort once paid. I think that you nailed it. Nobody would argue that the guy has freakish athletic ability. The problem is that he has not been a dominating player but wants to get paid like one. I hope Beane sees it the same way. Well, maybe the Bills could use the same concept with another player like Clark or even someone else. I think it's more a question of afford. Watt massive deal, Hopkins? Watson? I dont see them being able to pay all of them. Not sure if Clowney is worth what he wants, but certainly we need a high end edge rusher. I'm sure Beane and McDermott will figure it out, though. A trade down like this could possibly net the Bills some great players. A. Clowney or possibly Clark. To be able to secure the last 3 of these players the Bills would probably have to bungle some of their remaining draft picks to accomplish something of this nature but it would be worth it imo. The same can be said for every single free agent. Why would the packers want Reggie white when the eagles didn’t want him? And so on. Same premise. Indeed. Teams are built differently and are at different points in a cycle with different salary cap considerations. Yeah as really they would have to show him the money to keep him! Clowney is not worth the money. He is not a top 10 DE. Not even close. Yes he is better than Lawson but not at the price he thinks he is worth. To take on his contract the most the Bills should give up is a second round pick. But I wouldn't do it. They have a ton of cap space next year and some of the deals signed this year and last will come off the books. Save the money for next off-season. 2019 is all about Josh Allen and determining if he is the franchise QB. That is why I was ok with them chasing AB. With the WR signings they have made it is time to double down on TE and OT. And draft youth on the DL. Not overpay for hype. Because it's not loaded with defensive ends past the 1st round. And even then the 1st round guys all have major questions. I would always take the known over the unknown. And, guys like Josh Allen, Montez Sweat, and Clelin Ferrell may have a hard time getting anywhere near Clowney in the league. Well the difference is, Clark is had been way more productive than Clowney and actually surpasses Lawernce production as well.